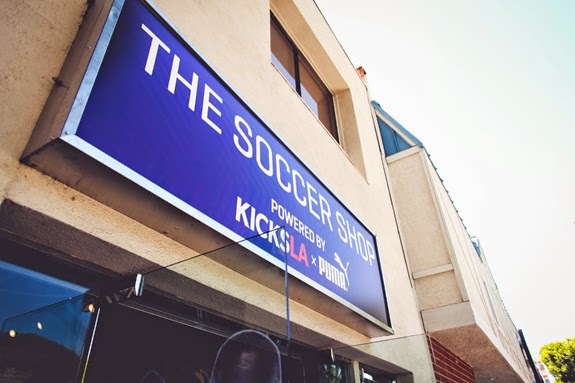 Kicks Sole Provider and PUMA have teamed up this World Cup to build a pop-up store in Los Angeles, CA called The Soccer Shop. This pop-up is based solely around team fanwear and to immerse the consumer within the football environment. 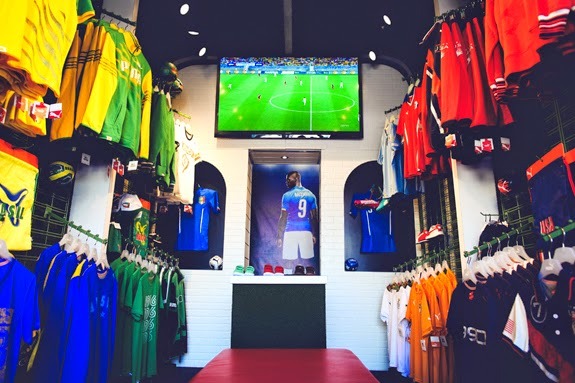 The space showcases a variety of gear featuring key teams like Italia, USA and Brazil, but also is a great place for die hard fans to grab their replica jerseys from Italy, Uruguay, Chile, Ghana and Ivory Coast. 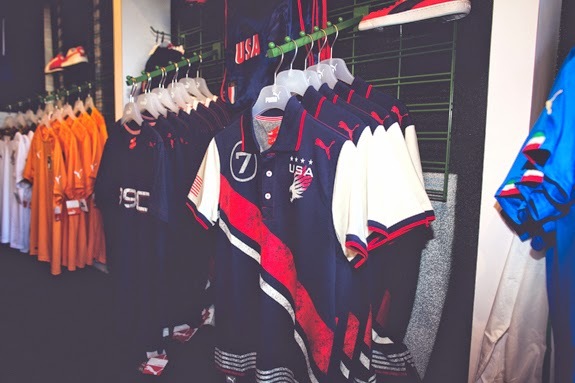 The Soccer Shop will also play host to a number of events and activations taking place throughout the games. Whether it be food trucks, guest DJ's, freestyle soccer competitions or a local farmers market there are a variety of activities for all fans and consumers. Head down to The Soccer Shop till July 19th for all your football gear, as well as to check out the fun community events. Images of the shop are attached below and please let me know if you have any questions, thanks!